The treatment option called crown lengthening is available to either prepare a tooth for restorative dentistry or to cosmetically enhance your smile. When a cavity or decay occurs below the gumline, it may be necessary to remove a small amount of bone and gum tissue. Your dentist may ask for this procedure before he or she makes a new crown for your tooth. This will prevent the new crown from irritating your gum or gingival tissue. This may also be required if the patient has fractured a tooth below the gumline. 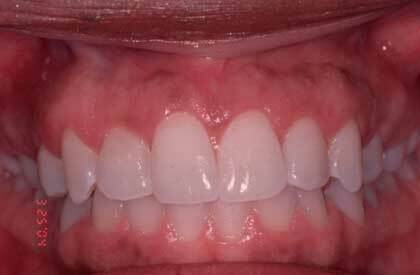 This form of crown lengthening is a procedure to remove excess gum tissue, exposing more of the "crown" of the tooth to eliminate a "gummy smile". 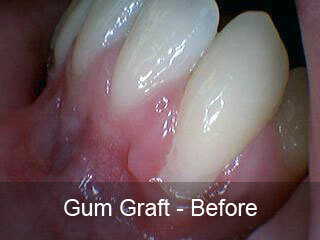 The gumline is sculpted (or sutured) to create the right proportion between the gum tissue and natural tooth surface. 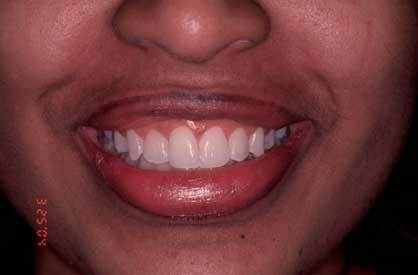 This sets the stage, allowing your new veneers or crowns to have the correct length and shape. 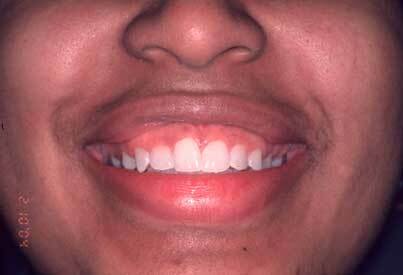 This procedure is for patients who feel their teeth are too short or their gumline is uneven. Tissue grafts are available to stop further dental problems and gum recession, and/or to improve the esthetics of your gumline. Gum recession often results in root sensitivity to hot and cold foods. When the recession exposes the root surface, which is softer than enamel, it can lead to root caries (cavity) or cervical abrasion (root gouging). 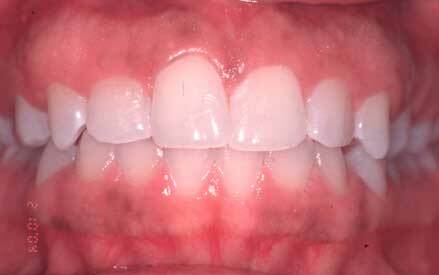 Recession may also give your smile an unsightly appearance making your teeth appear long. A tissue graft is designed to solve these problems. During a tissue graft, Dr. Sutherland will take a thin piece of gum tissue from the roof of your mouth or another donor source to cover the exposed root. This can be done for one tooth or several teeth. The tissue graft can reduce further recession and bone loss. 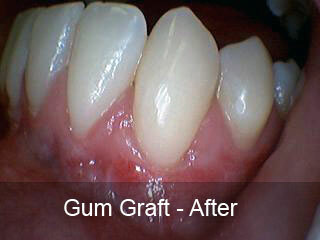 The gingival graft improves the health of the attached tissue around the tooth.